The Berry Schools let Mrs. McKay know they received her favor and are sending her a copy of the last Highlander. 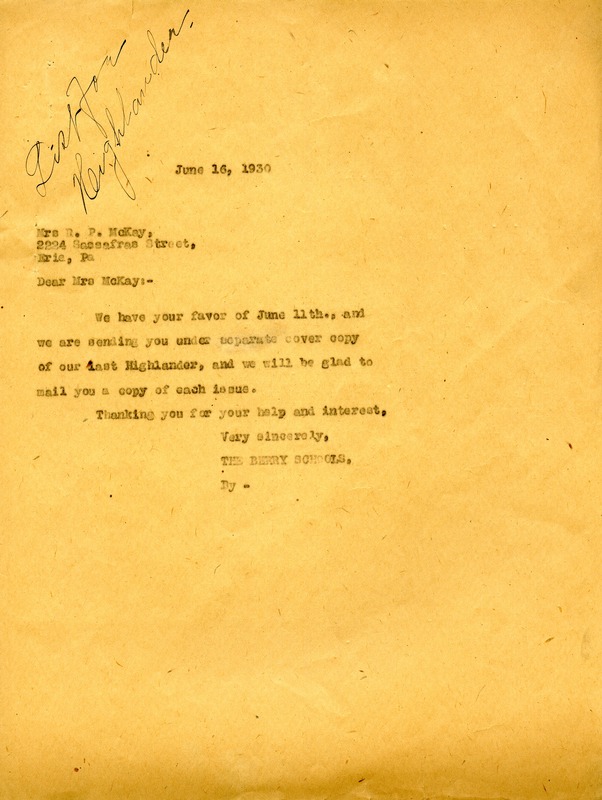 The Berry Schools, “Letter to R.P. McKay from the Berry Schools.” Martha Berry Digital Archive. Eds. Schlitz, Stephanie A., Jordan Brannen, Rachel Renaud, Erin Thomas, et al. Mount Berry: Berry College, 2013. accessed April 21, 2019, https://mbda.berry.edu/items/show/13162.